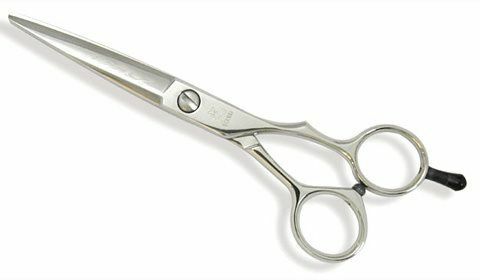 This pair of the Yasaka YS300 shears has 30 teeth which makes this thinning shear perfect for taking out extra hair volume with every cut. The size is 5.5″. 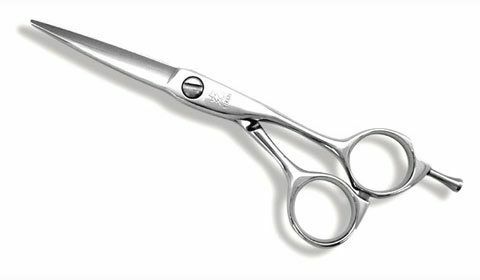 This pair of the Yasaka YS160 shears has 16 teeth which makes this thinning shear perfect for taking out extra hair volume with every cut. The size is 5.5″. The Kikui Cobalt Standard – Level-set Shear is made from an alloy with at least 70% cobalt . It provides the ultimate in cut , edge durability with the light weight and ergonomic feel . Each shear is hand crafted by our master smiths, and comes in level and offset styles. The semi-offset designed Green Series is equipped with a tension adjustable screw and an integrated ball bearing. The Green Series includes the texturizers, where the teeth are so shaped by up-to-date erosion technique that each tooth meets the cutting edge at the same angle. The gaps between the teeth are tapered towards the inside of the teeth blade, which prevents a tangle of hair when pulling out. The convex blades are mirror polished. For a limited time receive a FREE Kasho Cape and Hard-backed Carrying Case. our best proprietary blend of molybedenum, cobalt and vanadium alloys (Hikari steel level 4) and feature a unique powerful blade design. They are the first scissors specifically designed for Dry Cutting. Hair – stays sharper longer! Hikari B2 Crane - 5.5"
The classic crane design allows you to relax your elbow when executing scissor over comb and various other techniques. The heavier handles enable you to power through hair with ease. Available in 5.5". * blade length (tip to pivot) = 2 1/4"
* overall length (tip to end of longest handle) = 6.0"
Note: Multiple finger ring sizes available to provide the perfect fit for your fingers. LA Shear Beauty Distribution was started in 1997 by Michael Johles, a guitar player that quickly saw the analogy between high-end shears and musical instruments.